The commission for the new headquarters for Clare County Council was won in a competition in 2004. The site, a long established base for Clare County Council, raises the challenge of inserting a large structure into this low rise, low density context. Set back from New Road, the dramatic shape of the stone clad Council Chamber and the sharp inclined south wall of the main office block frame the front landscaped plaza forming a new civic space for Ennis. 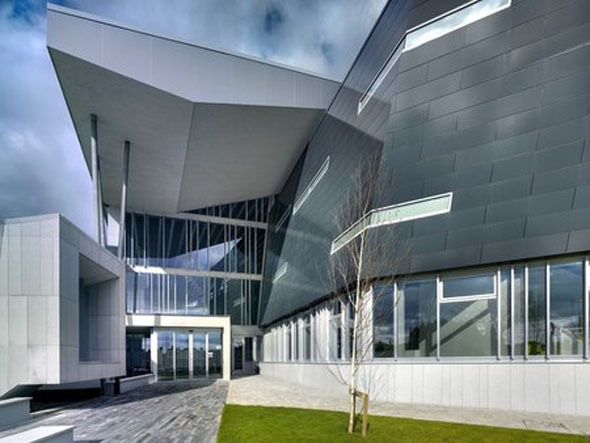 The new headquarters for Clare County Council provide 8,600 sqm of offices for ca. 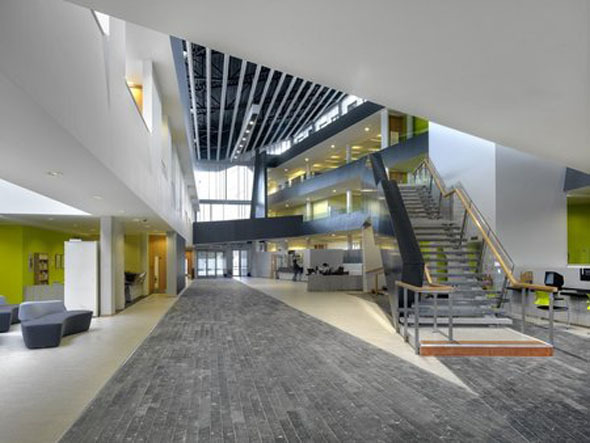 300 staff, configured around a public concourse, as well as meeting rooms, staff canteen, a laboratory, Council Chamber and 320 car parking spaces. The building takes the form of a 4-storey spine block of office accommodation running north/south in the centre of the site, at the furthest point from the surrounding houses. To the west and perpendicular to the spine, three pavilions sit in a landscaped park with gardens separating each block. The building reduces in height and mass as it stretches towards the dense existing tree lined boundaries, respecting the privacy and amenity of the adjoining residences. The public concourse generates the heart of the scheme, accommodating the public interface with the various departments, and is traversed by bridges linking the open workspaces above. The atrium is also essential to the natural ventilation strategy, utilizing stack effect and wind pressure differentials for ventilation and space cooling purposes. 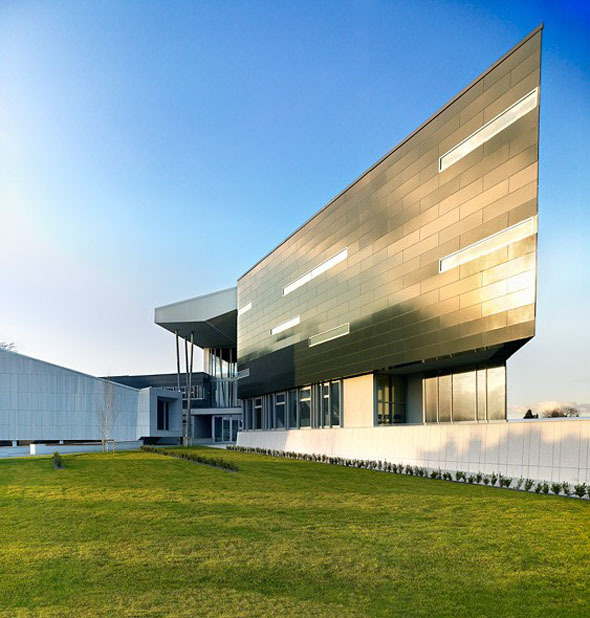 The building was conceived to provide naturally ventilated workspaces with optimal daylight and minimal glare, delivered through a finely tuned envelope that responds to orientation, minimizing unwanted heat gain.